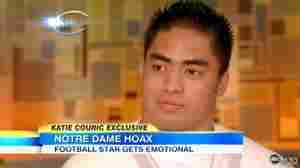 January 23, 2013  The Notre Dame football star tells Katie Couric he was the victim of a hoax. But he also admits he perpetuated the myth about a dead girlfriend after discovering she had never been real. "Put yourself in my situation," he says. "What would you do?" More Tears For Notre Dame's 'Fake Tragedy' Than A Real Girl's Death? 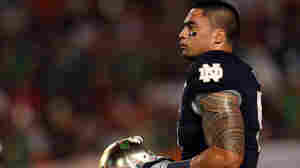 January 18, 2013  Those who have been pushing for the university to take more action about reports of football players sexually assaulted young women are asking why so much attention was given to the story of star Manti Te'o's fictitious girlfriend. 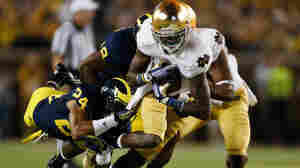 January 18, 2013  Notre Dame football star Manti Te'o's story of a girlfriend who died last September broke his fan's hearts. This week, he said she never existed and that he had been duped into believing the woman he was having an "online relationship" with was real. But many questions and contradictions remain.